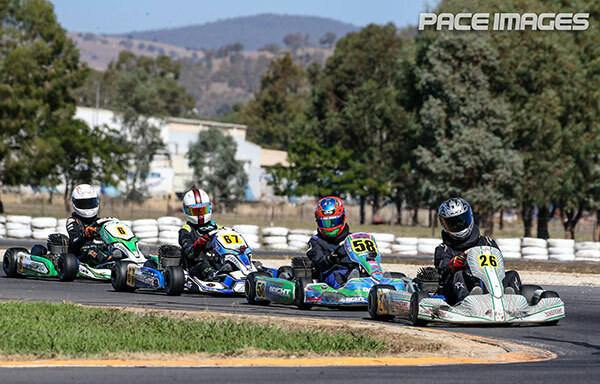 DJM Race Engineering took a team of seven drivers across five classes to the second round of the Golden Power Series at the Albury Wodonga Kart Club over the weekend. Under sunny and clear skies, the team was looking to keep their championship credentials high and come home with some strong results. KA3 Senior Light had the two DJM Race Engineering drivers in Zane Bright and Adam Campbell. Both drivers got off to a strong start in qualifying locking out the front row off the grid in qualifying. Both drivers struck trouble in the heats but were looking to recover in the final for a good result. Bright after being in the battle for the lead and the win in the final manage to come home on the podium in third spot for his second consecutive round podium. Campbell after a DNF was on the fight back from the rear of the grid and cone home for a strong result just outside the top five in position six showing pace as fast as the leading group. KA4 Junior Heavy had Charlee Richardson and Rhys Siekman running under the DJM Race Engineering team and Richardson was right in the battle for the lead all race and weekend long. Richardson in a train of four cars was nose to tail in the battle for the win and the final. After a tight close hard-fought battle Richardson just missed the podium but come home in a strong top five position in fourth spot. Siekman battled inside the top ten all weekend in a strong field coming home inside the top ten in ninth spot in a good drive in the final. DJM Race Engineering had single driver representatives in Layne Siekman in Vic Combined Medium, former state champion Brett Jenkin in Vic Combined Heavy and Bodhi Bright in KA3 Junior. All three drivers were able to come home with top five finishes in strong drives by all three drivers. Siekman was in fourth spot for most of the final but an incident on the last few laps went his way and he was able to come away with a podium spot in second spot. Jenkin who was in the lead group for most of the final come home just off the podium in position four in a good point’s haul. Bright after qualifying on the front row manage to run inside the top five all weekend. In a slightly disappointing final after running as high as third Bright dropped a couple of spots to come home in position five for the final. DJM Race Engineering owner Dylan McLellan was happy with the weekend and noted there was a long way to go in the championship. “Its great to get another couple of podiums after a few things didn’t go our way on Saturday. We are gaining some strong points across the series and look forward to the next round”. 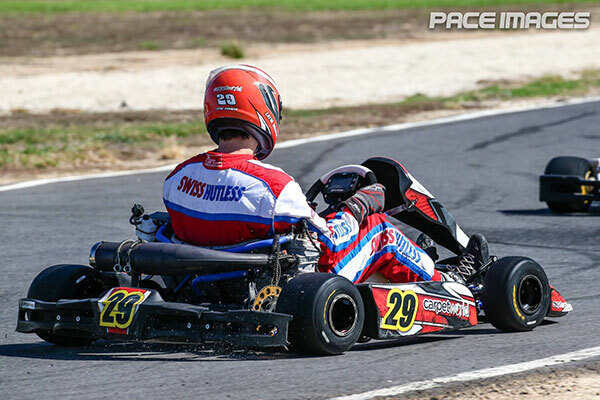 DJM Race Engineering will next be at the track this weekend for the Victorian Open Kart Championships at the Eastern Lions Kart Club.